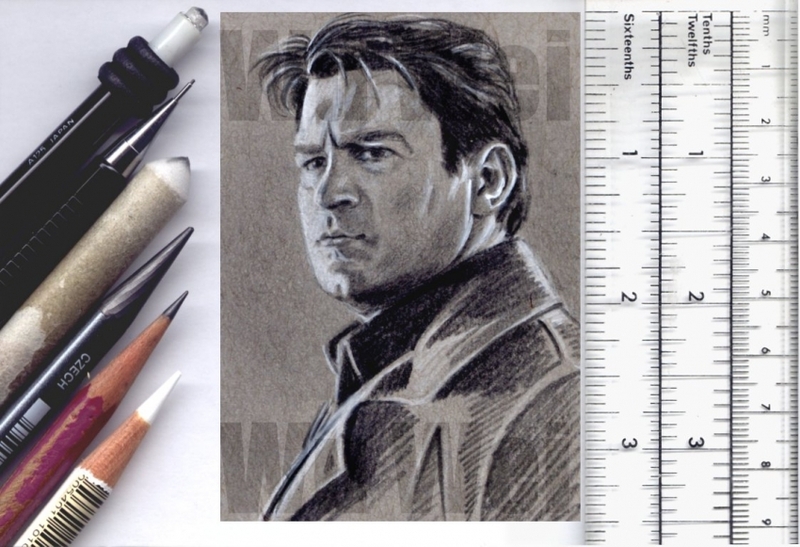 An ACEO artcard of Nathan Fillion in the title role of tv series Castle. 2½x3½ inches(6.3x8.9 cm), graphite and white pencil on toned grey cardstock. Original card for sale here on Ebay http://www.ebay.co.uk/sch/miniartz/m.html?_ipg=50.